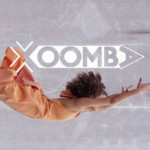 Xoomba is a feisty young design company with a goal of making fashion harmless. We produce hand made, organic clothing and textiles in Burkina Faso, West Africa. We abide by the highest environmental and ethical standards to create sustainable livelihoods in Sub Saharan Africa and deliver our products at accessible prices.